Greetings bass fanatics! Lia Holland here. Bassnectar Labs is neck-deep in the planning of a Fall Tour the likes of which the Eastern US ain’t never seen. With that underway, it seems appropriate to let you all know that Bassnectar is packing a lot more than sweaty bodies and bass into those vibrating venues. This fall, the labs will once again be featuring the best and brightest from among fans and friends, highlighting the ways that local organizations need YOUR help to make change in YOUR community. It is the personal request of Bassnectar Labs that every attendee engage with atrocious enthusiasm. Do you know an organization, like those featured on the Spring Tour Community Blog, that would like to be represented at a show in your town? 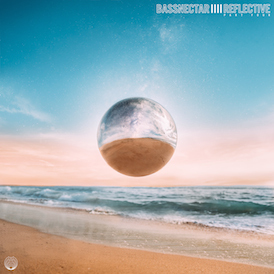 Fire an email off to getactive(at)Bassnectar(dot)net and let’s make it happen! With the Cozza Frenzy Tour, the Labs would like to present the debut event of the Cozza Connection Project, to take place in Detroit, MI in the 7th of November. For this project, Bassnectar Labs is facilitating a fantastic evening for budding community activists and several of the most excellent community organizations known to Detroitkind. This event will feature videos highlighting the involvement opportunities that the amazing organizations represent, as well as a fundraiser for which the funds are already raised: each attendee will decide where the money goes through viewing the videos and interacting with the booths at the event. Stay tuned for the announcement of the generous sponsors, for links to the astounding organizations that need your help, and for the videos, produced in collaboration with Bassnectar Labs. But, why stop at Detroit? A fabulous collaborative performance in DC for the 9:30 club on the 12th of November, with a forthcoming minidocumentary and opportunities for fans to contribute is in the works, as well as several events in collaboration with Conscious Alliance. Bassnectar Labs strongly believes that we all already have the common ground necessary to inspire change: music. The past has shown us that our community has incredible potential to impact the present. Let’s prove it!